Mega Power Star Ram Charan is a very happy man right now and the reason for his delight is the success of his latest flick ‘Naayak’. The movie has received a positive response from the Box Office and Charan is reportedly thrilled with the result. ‘Naayak’ is expected to register strong collections due to the ample commercial elements in the movie and the Sankranthi holiday season. 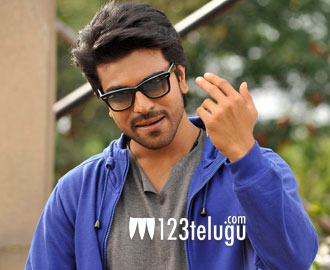 Charan scored a hit with his last outing ‘Racha’ and this fresh new success is a major boost for his career. ‘Naayak’ has been produced by Danayya DVV and V.V.Vinayak directed the film. Thaman scored the music while Kajal Aggarwal and Amala Paul were seen as the heroines.